REPOST from the Richmond Times-Dispatch. 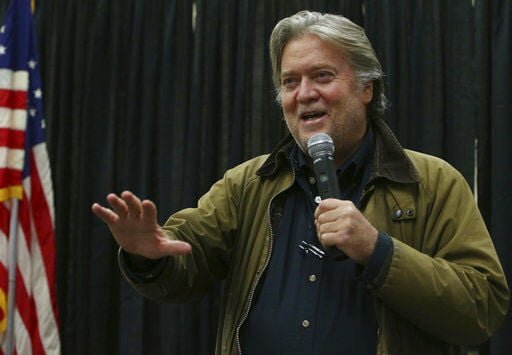 Former White House chief strategist Steve Bannon said he’s headed to Virginia this weekend to help campaign for pro-Trump candidates in tough races that could determine control of the U.S. House. Bannon said in an interview with radio show host John Fredericks that it’s crucial for President Donald Trump to maintain GOP control of the House of Representatives in the Nov. 6 midterm elections. Read the full report from the Richmond Times-Dispatch.